The political hypocrisy of sanctioning oil imports from countries with bad environmental practices, while withholding Alberta’s ability to export Alberta oil even within our own country, is stunning. It needs to be clearly labeled as self-serving vote-buying. It needs to end. “The federal government must use its authority to enable construction of pipelines whose proponents have invested years of effort and significant funds to earn the approval to move ahead." We have some history with this industry and Liberal governments. When our parents lost work because of Prime Minister P.E. Trudeau’s National Energy Program in 1980, the oil and gas industry in other countries prospered, but lagged in Canada. A new Conservative government in Ottawa in 1984 reversed the damage. Now, 35 years later, here we are again. This federal government has the authority to ensure the TransMountain pipeline is built. It chose to erect insurmountable obstacles to Energy East. It outright cancelled Northern Gateway. The federal government must use its authority to enable construction of pipelines whose proponents have invested years of effort and significant funds to earn the objective regulatory approval to move ahead. The current Liberal tactics risk Canada being labelled as a precarious place to invest. If the outcomes of review processes are not enforced, the result will be no projects of importance moving forward. Throwing taxpayer funds at the companies involved is neither a solution nor even necessary. It is a transfer of the risk to taxpayers, who have already paid for the system that analyzed, addressed concerns, and approved the infrastructure. A Word about Bill C-69 (An Act to enact the Impact Assessment Act and the Canadian Energy Regulator Act). This bill is ill-advised and will threaten our economic prosperity. Numerous parties, including provincial governments, are against the bill because it threatens to further undermine our competitiveness, and dramatically increase the uncertainty that is driving investment away. The current process already has people withdrawing billions of dollars from Canada, and that will increase if C-69 gets passed. This isn’t just an oil and gas issue – but a Canadian issue – one that threatens some of the largest drivers of job-creation and prosperity in this country. This bill has foreseeable and wide-ranging implications that will hit our mining, forestry and energy sectors the hardest, but will also affect renewable energy, fisheries, pipelines and other infrastructure. Governments are supposed to provide solutions to problems with the taxes they collect from Canadians. I see none of that in a carbon tax. Our Alberta carbon tax redistributes wealth – that is, it is collected from everyone, and some is rebated to low income earners. And it is supposed to curb our appetite for carbon products. It is applied at the gas pump (and also on heating bills where usage is very inflexible). We already pay excise taxes at the pump to two levels of Government. And there’s no guarantee that revenues are spent on roads or pollution abatement or other related services. It goes to tax collectors to get spent. Period. Likewise with the proposed federal carbon tax. There is no targeted abatement of CO2. It is a tax collected from Canadians to be spent and sometimes redistributed. It is just another tax. 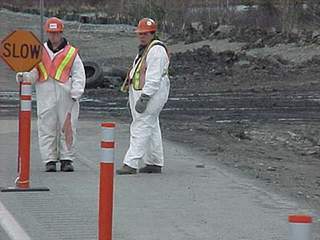 Alberta attempted to address CO2 abatement in 2009 with a program to collect fees from large emitters (the Specified Gas Emitters Regulations), using the funds for carbon abatement. This “selective” tax has not met its carbon abatement objectives, but it was at least targeted at an outcome. Canada is a northern country with long winters, challenged by great distances between our markets. We naturally consume more hydrocarbons than most other countries. A carbon abatement solution designed for Spain won’t work in Canada. Governments can be effective in abating carbon by mandating progress – in areas such as energy efficiency. The typical automobile today has more than double the efficiency it had two decades ago. More can be accomplished with this approach, and we see regular progress such as “light-weighting” vehicles. But these advances are delayed when taxes and regulations clash or overlap. Finally, consumers need to see the benefits of enacting energy efficiency – not just the cost. A carbon tax only adds expense to consumption – and any gains derived from efficiencies flow solely to governments. This equation needs to change. We’ve been here before. Endless government deficits turn into constantly increasing government debt, which in turn means punishing debt service payments. And when government debt goes beyond our ability to service it, government services must be rationed. Our healthcare and other valued services suffer. To pay for the ever-increasing debt burden, taxes keep going up until our economy is unproductive, and jobs disappear, and more social spending is required to deal with unemployed Canadians. It is a spiral. I’m very concerned about this Liberal Government’s spending habits, including in areas where the funds are not required – such as the Infrastructure Bank. And I am perplexed that the funds spent by this Government have reduced unemployment to a 40 year low in Canada, yet Alberta (which has suffered the worst employment declines in this recession) still has unemployment around 7%. With the pool of cash being spread through the economy, there have been many opportunities to provide innovative assistance to help Alberta weather the commodity recession we experienced. Read more on my position on the Canadian Infrastructure Bank slush fund. Deficits are really deferred taxation. What we borrow, we should repay. Funds injected into an economy will eventually come back out of the economy. And there is no rationale (other than comparing ourselves to other debtor nations) to have a debt ratio measurement. What works for corporations does not work for governments here – because governments don’t benefit from the tax-effects of debt-financing the way corporations do. "I’m very concerned about this Liberal Government’s spending habits, including in areas where the funds are not required – such as the Infrastructure Bank." Deficit financing should be reserved for those times when our economy needs stimulus, during periods of economic adjustment. That is not now in Canada. The past three years show that even when Alberta suffers economically, it still transfers wealth to other provinces. This formula creates structural economic dependencies and it doesn’t work. It is too easy to just say we oppose equalization. I think most Canadians support the underlying principle. We are a country, and it is reasonable to equalize to some extent the services and benefits available to everyone. But that isn’t how it is currently working, for a number of complicated reasons. Because of that complexity, governments throw up their hands and dodge discussions about changing the way taxpayer funds are reallocated between provinces. But changes have been proposed and made by previous governments. And we need to recognize that the current formula rewards structural economic dependencies. This must change. "We need to recognize that the current formula rewards structural economic dependencies. This must change." One of Canada’s great advantages is infrastructure. It provides us with opportunities for personal growth with superb education, healthcare, and social support, but also the physical infrastructure on which our economy depends – the roads and rails and pipes and power. When I’ve travelled abroad I’ve seen how the relative absence of infrastructure affects people’s daily lives. There is a role for government in making sure that Canadians have the building blocks that enable us to pursue our own prosperity. But the process to enable private enterprise to build infrastructure has stopped working. If we accept the current situation, we will no longer have long-term projects built in this country. Process needs to be transparent, and the outcome needs to be respected. The loss of infrastructure projects will lead to lost opportunities and vanished outcomes. It will marginalize Canada’s ability to maintain and build upon that which has been gifted to us by our predecessors. Our children will see that we have misspent the inheritance we received. A focus for me, if elected as your Member of Parliament, will be to stay clearly focused on how government can enable and encourage entrepreneurs to build on Canada’s infrastructure advantage. And when it should just get out of the way. 6. Democracy and "Social License"
Political decision-making today is confused between what works for the country and what works for vocal groups within the country. We are being governed for the short-term. The can has been kicked down the road repeatedly. “Social license” is an ill-defined term. Some people will simply never agree to some things. Social license should be granted at the ballot box, with appropriate respect for due process and minority representation. Having been granted at the ballot box, governments need to act on their mandate. Our institutions are designed to respect process and acknowledge the rights of all affected; but sometimes opponents of policies or projects use “social license” as a way to block decisions that benefit the country as a whole. Process should be transparent and provide a path to decision-making; it should not be an endless game with an objective of constant delay leading to a death by a thousand cuts. If chosen as your Member of Parliament, I will respect dissenting opinions and look for compromises that benefit everyone, but in the end, Parliamentarians must make decisions to move forward in a way that benefits the country. Immigration has been an integral part of the Canadian story, and people from all over the world have been welcomed to Canada for generations. Immigration has enriched our communities and social fabric. It has enabled our economy to grow and prosper. As I meet Calgary Centre members at the doors, I encounter many new Canadians who are anxious to share their story. They tell me that while they followed a clear set of rules in getting their chance to come to this great country, the system has lost its way. People are particularly incensed about the dramatic increase in the ‘back door’ approach of ‘irregular’ border crossings – and it hits a raw nerve with new Canadians, in particular, who often spent years navigating a defined process. That’s because the Trudeau government doesn’t have a plan and seems unprepared to figure out how we manage immigration with integrity, ensure fairness, and enable individuals to come to Canada as valued and productive citizens – whether fleeing injustice and oppression, arriving to pursue opportunities for themselves and for their children, or reuniting with their families. Our party recently released proposals I fully support – proposals that promise a “fair, orderly and compassionate” vision for Canada. They include principles that encourage and enable immigrants to become not only self-sufficient, but strong contributors as quickly as possible; enable ‘economic migrants’ to be successful by matching their skills with the industries that need workers – and provide an effective and just means by which Canada can recognize and accommodate the world’s most vulnerable. Most important is a commitment to implementing a clear and transparent process by which decisions are made – something that is absent today – but that I am committed to helping us achieve as your Member of Parliament. We need to address the ‘loopholes’ being exploited here and overseas. The Trudeau Government is complicit in this fiasco for naively broadcasting the loophole in other countries – without considering the consequences – economic or procedural. First, we need to ask ourselves: “What is the outcome we want in our refugee determination process?” Since the ‘irregular’ border points have become established, some 40,000 claimants have found their way into Canada’s asylum process. Without significant additional financial and human resources, that backlog will increase substantially. The estimated wait time to navigate the process (including appeals) will increase from 33 months up to 86 months. That is over 7 years! The estimated cost per claimant, currently $19,000, will also increase as each cohort takes longer. Initial outcomes for these claimants show a success rate for asylum applications half of that of ‘regular’ refugee applications. Unless the Government lowers the bar (which would be counter-productive), we are spending significantly more on a process that is attaining poor results. Acknowledging this fact is part of the solution. Let’s look at the amount we are spending on immigration lawyers and consultants, here and abroad. Does this investment support the outcomes and principles we establish, or would these funds be better spent on helping refugees and immigrants build new and productive lives – achieving objectives where Canada benefits?